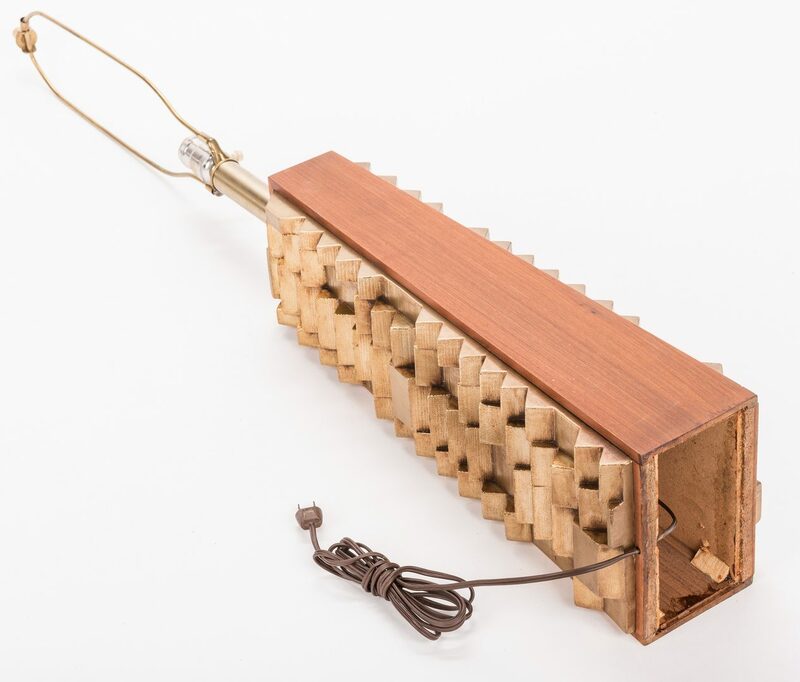 Mid 20th century Cubist or Brutalist style lamp with tapering ash wood frame inset on both sides with projecting gilded metal cubist style blocks. Hollow interior. Unmarked. 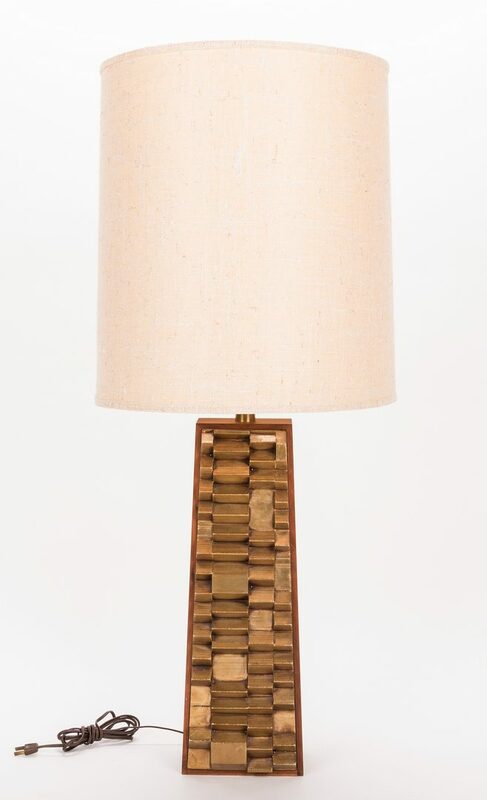 Base 21 3/4"H x 7 1/2" W x 6 3/4" D, overall 30" H. Lamp comes with large drum shade, 20" H x 17 1/4" dia. CONDITION: One block has some deterioration at top; some water spots to right lower side wood frame. 1/2" scratch in brass post.